Leroy Hill, Jr. is an American football linebacker who is currently a free agent. He played high school football in Milledgeville, GA for the Baldwin High School Braves. 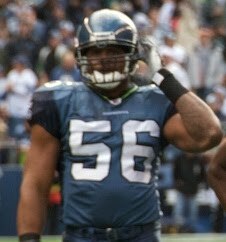 He was selected with the 34th pick of the third round of the 2005 NFL Draft out of Clemson University by the Seahawks.